Dr Philip Huan has consulted with us and the recommendations are these key components of ministry restructuring: Firstly, core product, which is, an agreed list of the traits we want to develop in the members God entrust to us. Secondly, the core process, which are the stages of the discipleship journey, its balance and the plugging of the gaps in between the stages. Thirdly, the core program, which are, the main platforms in the church that God will use to shape his people. In our case it is the worship service, cell groups and equipping stations. Fourthly, core pastoral leadership, which is the to have the pastors and elders working together in harmony and mutual respect, to guide the process and discipleship journey. This article aims to describe the core product. The discipleship journey must begin in the church with an end in mind. The core product spells out the kind of traits we want embodied in the members God entrust to us. 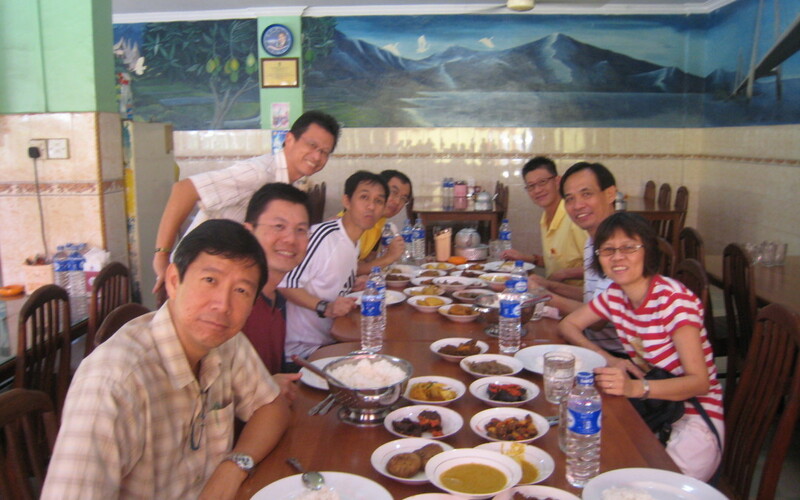 Dr Philip Huan, our church consultant, guided a group of twenty pastors, elders and ministry heads and zone supervisors form all the different church groups: the children, the youth, deaf, Chinese, and English adult. After studies, discussions, prayer, and collation and synthesis we categorized all the results under each letter of the acronym S.W.O.R.D. The acronym stood for Service; Worship; Outreach; Relationship; Discipleship. Daniel Yuen, Alvin Lim, Francis Shin, Ps Thomas, Ps Kenny, Abraham Sim, Paul Chan, Karen Tan. FELLOWSHIP –becoming a discipling community. We have followed the order and emphases since 2010 without any change. Therefore in 2012, the programs planned will be focused on FELLOWSHIP (building a discipling community) with its sub-traits of discipleship, servant-heart, unity and healing community. We urge the church to join ranks in being united in purpose and strategy. Alvin Lim, a former President of the Board, is a pharmacist with a heart for God. He has two Masters’ degrees: one in theology from Trinity Theological College, the other a counseling degree from Laidlaw College.